I’ve been pretty out of it lately and have ended up behind on reading and reviews. You may or may not have noticed this, as I haven’t been posting as regularly. 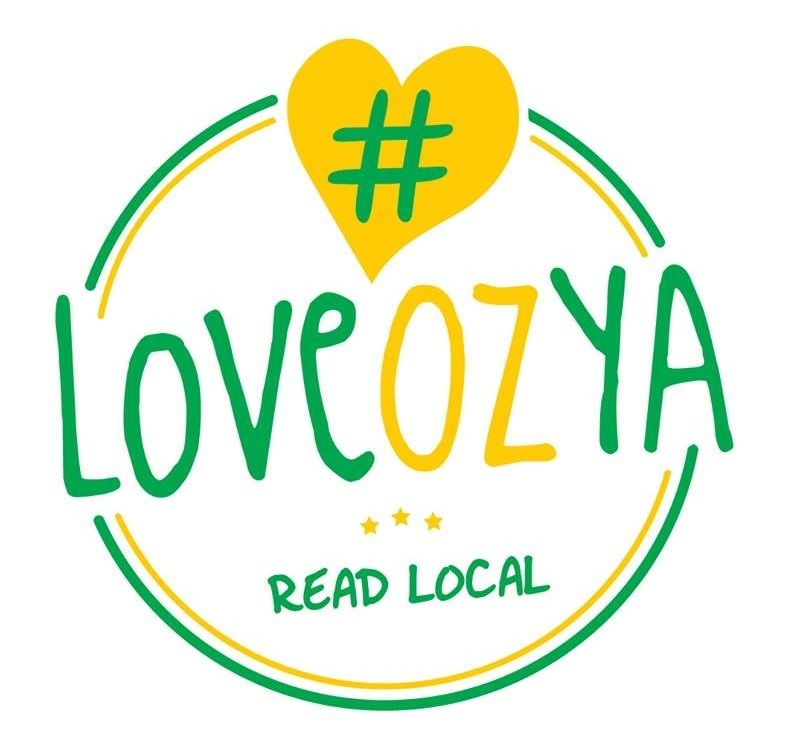 I think all the books below deserve a proper review post, but my mush brain is not cooperating and I still really wanted to share them with you. I will get it together. I promise. Kipp Kindle and his friends Tobias Treachery and Cymphany Chan live in Huggabie Falls, the weirdest town on Earth. Weird things happen all the time—that’s normal. But when an extremely weird thing happens Kipp and his friends know that something is wrong. They embark on a fast-paced, action-packed, hilarious adventure to find out what is making everything turn normal, and to return the weirdness to Huggabie Falls. With an evil villain, Felonious Dark, a creepy scientist and a fierce wand-wielding teacher, who has turned Cymphany into a baby hippopotamus, to contend with, not to mention killer vampire bats, vegetarian piranhas and a Portuguese-speaking lab rat called Ralf, Kipp, Tobias and Cymphany have quite a task ahead of them. 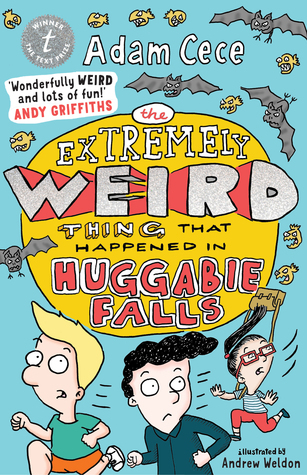 The Extremely Weird Thing that Happened in Huggabie Falls is the first book in a trilogy of sublimely ridiculous laugh-out-loud adventure stories for middle-grade readers. A trio of friends who live in the weirdest town on earth band together to solve a mystery, foil the bad guys and save their beloved town from normalcy. A humorous story involving friendship, family and acceptance. Definitely one for the younger MG range. I think any 7-10 yr-olds would find it a wacky and wonderful book. From the bestselling author of Night Owls comes a story of summer, first love and hidden identities . . . SO DAMN ADORABLE. I smiled like an idiot when I finished reading this book. There is nothing like first love and friends helping each other work through their ‘ish. The 15-yr-old school girl that lives on in my soul was swooning something fierce for Porter Roth. 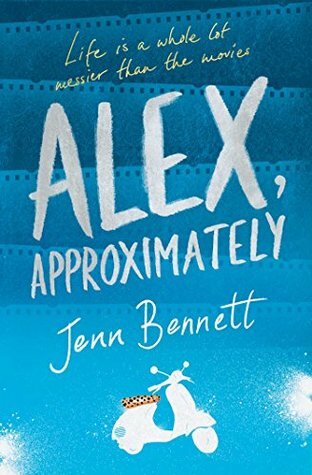 I finished reading this not long before my last doctors appointment and I have decided that i’m blaming Jenn Bennett for the blood pressure meds my doctor has now put me on. Obviously the spike in my blood pressure, which has always been perfect, came from me reading Starry Eyes and Alex Approximately back to back 😛 😛 AH so freaking ADORABLE! My heart exploded. Seriously, I still haven’t recovered – if you’re reading this, SEND HELP. I was captivated from the first page and I didn’t move or put this book down until I’d finished it. Told through a series of interviews, it was fantastic getting different viewpoints on the same event. – Proving nothing is as it seems, one should never judge, you never know the full story etc etc and that teenagers boys aren’t all that bad. I cried. I sat back and absorbed all the emotions I had experienced while reading. I immediately passed the book onto my mother and told her to read it. I think this book is a really good tool for opening up the discussion with teenagers about peer pressure, racism, self-identity and friendships. And is definitely a book I will sharing with my boys when they are older. 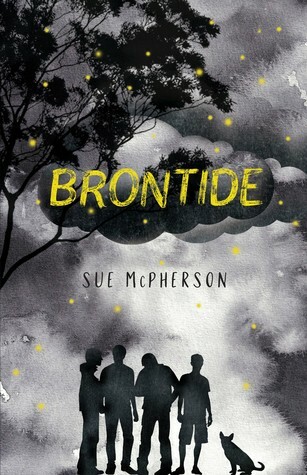 Summary: four teenage boys dealing with the pressures of wanting to be liked and wanting to fit in – with deadly consequences. Lynette Noni’s The Medoran Chronicles are fantastic. If you are a fantasy fan of any age they are a MUST READ. 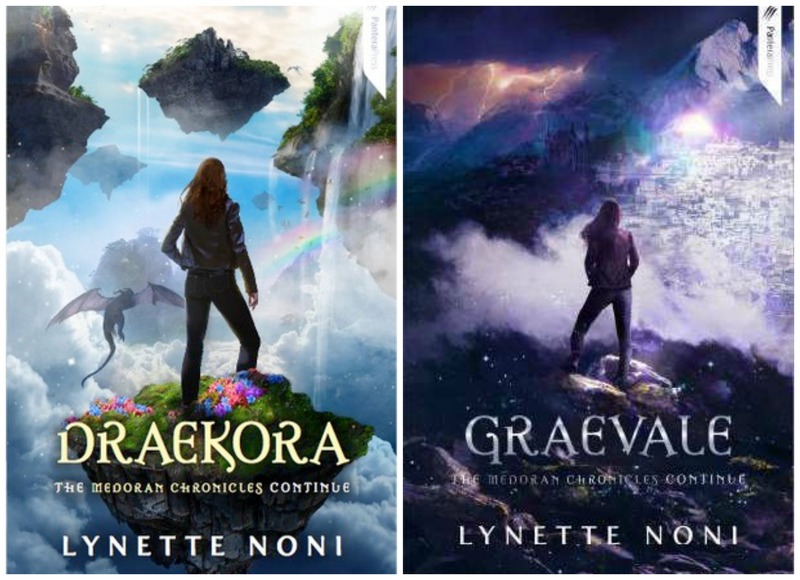 I read Draekora and Graevale back to back (books 3 & 4). Devoured them, actually. I did the same thing with Akarnare and Raelia (books 1 & 2). I will always love you Niyx. Please come back Xiraxus. I want a dog just like Soraya – None of these things will make sense to you, until you read the books, AND READ THEM YOU SHOULD. These books are brilliant, like Harry Potter brilliant, but all the better ’cause Noni’s an Aussie, aye mate.